This is one of the all-time great Valentine’s Day homemade gifts (and it’s not really a recipe…more like a very impressive technique). Although it might look like it’s hard to prepare, it really isn’t…and it’s a lot of fun to make. Easy, fun and really impressive…the trifecta in homemade gift preparation! 1. Grab a few bulk coffee-bean bags from your grocery store (they are by the bulk coffee..and they’re FREE!). You need bags that are lined with a plastic coating so after being painted with chocolate, you can peel them off easily. Cut the coffee bags so they are about 3-5 inches tall. 2. Then, in a double boiler over low heat, melt 2-3 cups of semisweet chocolate morsels. 3. Lay a bag on its side, and with a pastry brush, start at the bottom and paint the melted chocolate over the entire interior of the bag. Use plenty of chocolate to get a nice thick layer coating the inside of the bag, which will make it less likely for the chocolate to break when peeling off the bag later. Repeat with additional bags. 4. Stand the bags up and place in the refrigerator to harden for at least 30 minutes. 5. When the chocolate is nice and hard, starting in one corner, gently peel away the bag. Use a scissor to cut the paper off as you slowly peel it away…it just makes it easier (if you do get a break, it’s really easy to repair with a little melted chocolate “glue”). Once it’s all peeled, what you have left is beautiful, free-standing solid chocolate, goody bag. 6. 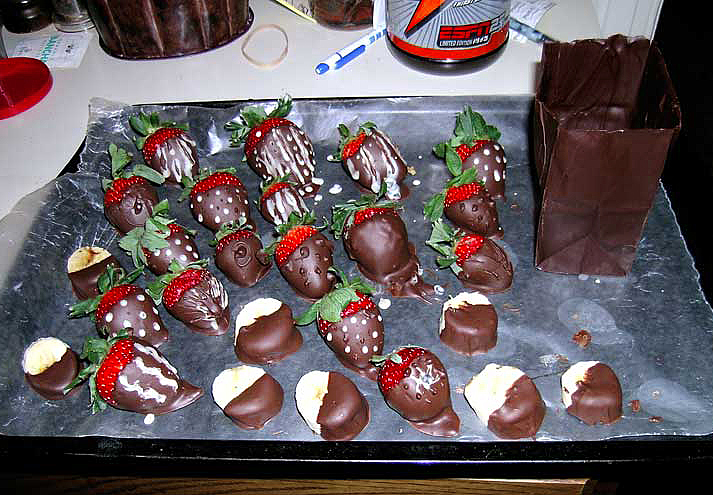 Melt some more chocolate and dip strawberries, sliced bananas and whatever else your significant other loves into the melted chocolate. Lay them down on waxed paper or a silicone baking mat (to prevent sticking) and allow to dry and harden. A very cool added touch is to melt some white chocolate and use that to drizzle designs on the dipped treats. Then just fill the bags with the chocolate-coated fruity treats and your favorite candies (nonpareils, M&Ms…etc) and you have an incredibly impressive presentation for your loved one on Valentine’s Day. It sure sealed the deal for me! The free straws work really well, but I actually use these clear acrylic straws…they last forever, are washable and don’t collapse or bend while you’re using them…they’re great! 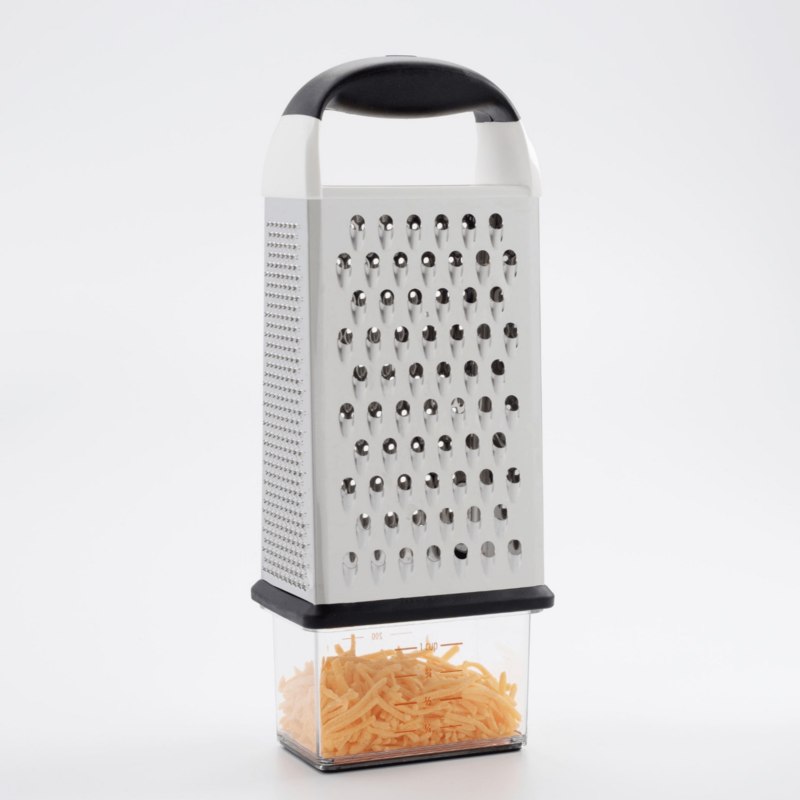 …but the BEST thing about it is that you can catch, measure and store whatever you’re preparing in the storage container that clips onto the bottom of the grater, and then seal the freshly cut/grated ingredients with the included lid. It’s perfect for grating and keeping the mozzarella fresh before adding it to my Caramelized Onions, Sausage and Mushroom Sourdough Pizza. How to Keep Your Knives Sharp…for (practically) FREE! Now that you know the best way to sharpen your knives (see previous post for the Accusharp Knife and Tool Sharpener)…here is the best and cheapest way to keep them sharp. Every time you put an unprotected knife in a drawer you run the risk of ruining the edge. It just takes a little bump to bend or roll the delicate edge of a sharp knife, and although honing with a good sharpening steel is something you should be doing, as it will straighten out the blade’s edge, it doesn’t actually sharpen the knife. Over time the knife will start to dull, until one beautiful summer day while you’re futilely attempting to slice a tomato for a BLT, the knife slips off the fruit (yes, the tomato is a fruit…look it up) and lops off your entire thumb (ok…that’s a little dramatic, but I’m trying to make a point here). Of course, you can buy knife guards, but it’s exceptionally easy to make them at home. 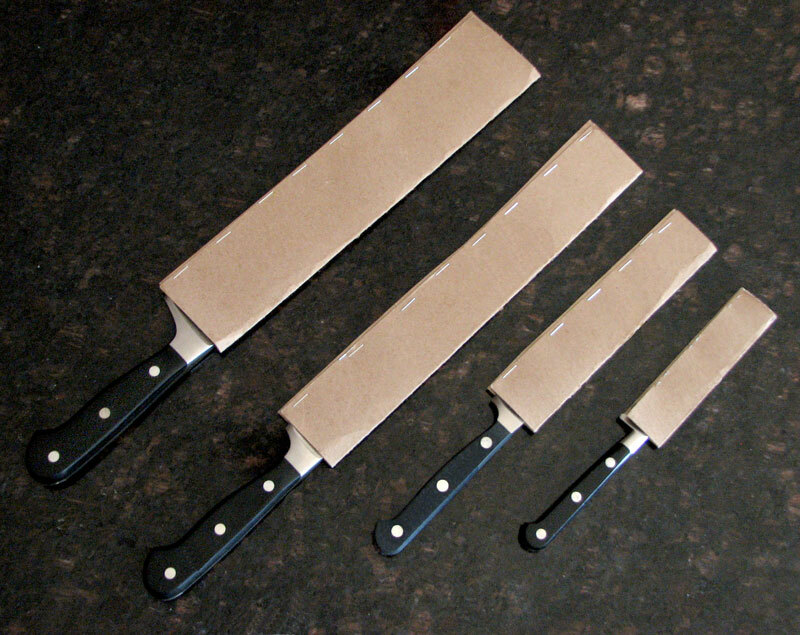 All you do is take some cardboard (the thin kind from a gift box works best, but any cardboard will do), cut a long strip that’s the length of the knife’s blade and a little more then twice as wide as the blade, fold it in half length-wise to fit the knife, and just staple evenly down the open edge. Slip this on whenever you store your knives, and they’ll stay sharp no matter how much they rattle around in that overstuffed drawer. 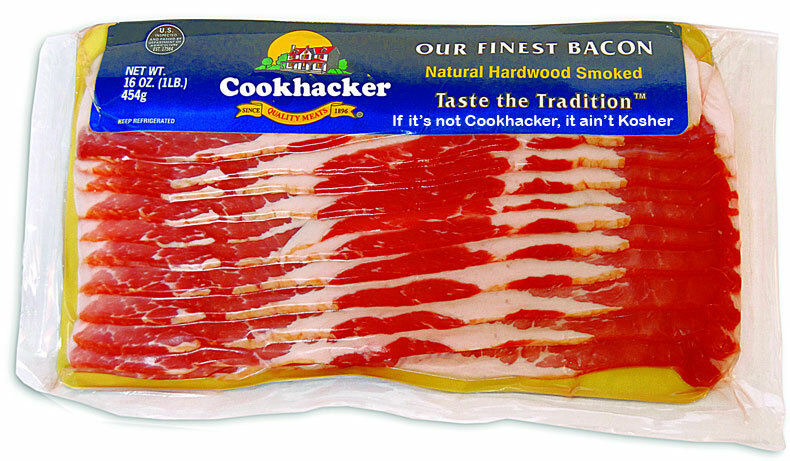 Don’t you just hate it when you open a package of bacon and it’s hard to separate the strips? I admit, it’s not a problem as dire as global warming or the economy, but at least there’s any easy remedy for this annoying situation. Just roll the package of bacon into a tight cylinder shape before opening it, and the bacon strips will be easy to separate. And don’t forget to use the classic Cast Iron Bacon Press when cooking…it helps the bacon cook evenly and actually prevents it from curling up…it’s great for BLTs. A sharp, well balanced knife that feels good in your hand is a pleasure to work with and makes cooking that much more enjoyable…when the right knife is used properly, it really makes you feel very “cheffy”. I’ve already posted how to sharpen knives and keep them sharp, and the amazing chart below (which I totally copied from Kitchen Kapers) really helps you figure out exactly what knife to use (or buy) for the job at hand. There is need to go crazy buying knifes. 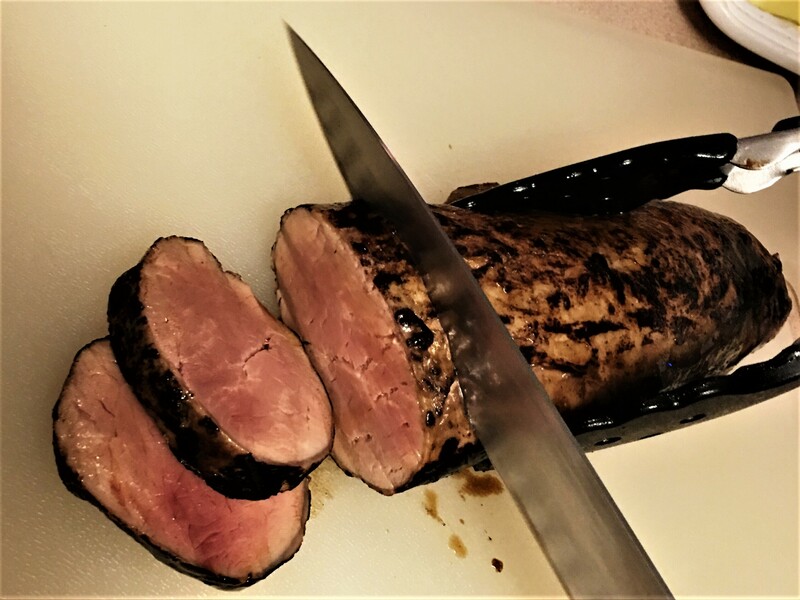 I recommend starting out with a good quality 8″ chef’s knife (the workhorse and the most important tool in your kitchen, imho), a 3″ paring knife, 5″ Tomato/Utility Knife, a 10″ serrated bread knife and a honing (sharpening) steel. Just make sure you store them properly (I love my magnetic knife holder) and you should be ready to tackle any kitchen cutting job with ease. For peeling of all round vegetables – potatoes, onions, etc. For paring, peeling and slicing small fruits and vegetables. 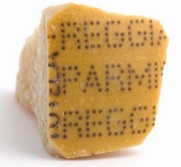 For separating meat from bone, cooked and uncooked. The smaller the size of the meat (or bone) the more flexible the blade should be and vice versa. As the name indicates, for many, but not for all cutting jobs. Peeling, slicing, chopping, carving. For carving medium sized roasts and fowl, cutting large vegetables, fruit. For chopping and dicing. The knife handle is rocked up and down with one hand while the fingers on the other hand rest slightly on the back of the blade, towards the tip. For cutting bread or any other food of soft substance with a tough skin or crust. For slicing and chopping. Hollow edge allows air between blade and item being cut for extra thin cutting. Unique edge must be sharpened by professional. For chopping through joints or bones. For sharpening the knives. A sharp knife will provide maximum safety. Use the sharpening steel regularly, preferably every other time the knife is used. Love this video tip…Saveur‘s Executive Food Editor Todd Coleman demonstrates an amazing trick for peeling an entire head of garlic in less than 10 seconds…so simple! 1) Smash the head of garlic with the heel of your hand. 2) Sweep the cloves into one bowl. 4) Shake the hell out of them. Fast, easy, kinda fun to do, no major cleanup and it really works…that’s what I call a great kitchen tip!